Sarnia, Ontario, December 8, 2010 --- The environmental protection of larger-scale instrumentation installations is made easy by a new range of highly insulated outdoor enclosures from the field equipment protection specialist, Intertec. The BASIC VARIO range of wall- or floor-mounting enclosures is made using Intertec's unique sandwich-construction technique, with GRP (glass reinforced polyester) skins enclosing a thick layer of insulating foam. As standard, the BASIC VARIO range provides a rectangular-shaped enclosure in a choice of three standard sizes of 41.3x25.2, 41.3x33.1 or 41.3x40.9 inches (105x64,105x84, 105x104 cm) - with a depth of 13.8 inches (35 cm). These deliver a range of volumes that sit between the typical upper limits of many field instrument enclosure ranges and the smaller sizes of many outdoor cabinets. The volumes are large enough to accommodate several field process transmitters for example, sophisticated analytical instrumentation points, or complex electrical circuitry designs. The construction principles of BASIC VARIO also mean that Intertec is able to provide custom sizes easily. The insulated sandwich construction technique that Intertec uses on BASIC VARIO - and almost all of its other enclosures and cabinets - provides superb insulating properties. Insulation efficiency is typically several times more efficient than an enclosure made using single-layer polyester for instance, and substantially better than a case made of sheet metal - two common types of alternative products on the market. BASIC VARIO's superb thermal resistance is further enhanced by unique accessories available from Intertec, such as hard foam moldings that may be drilled to accept tubing to minimize the 'thermal short-cut' effects of the access holes that invariably have to be made. The thick sandwich construction material used for the walls also has the benefit of allowing lightweight equipment to be mounted directly onto it - avoiding the need for mounting rails in some instances. The long fiber reinforced grades of GRP sheeting employed by Intertec provides great structural strength that almost matches stainless steel - for just a quarter of the weight. This allows BASIC VARIO enclosures to accept very high equipment loads. 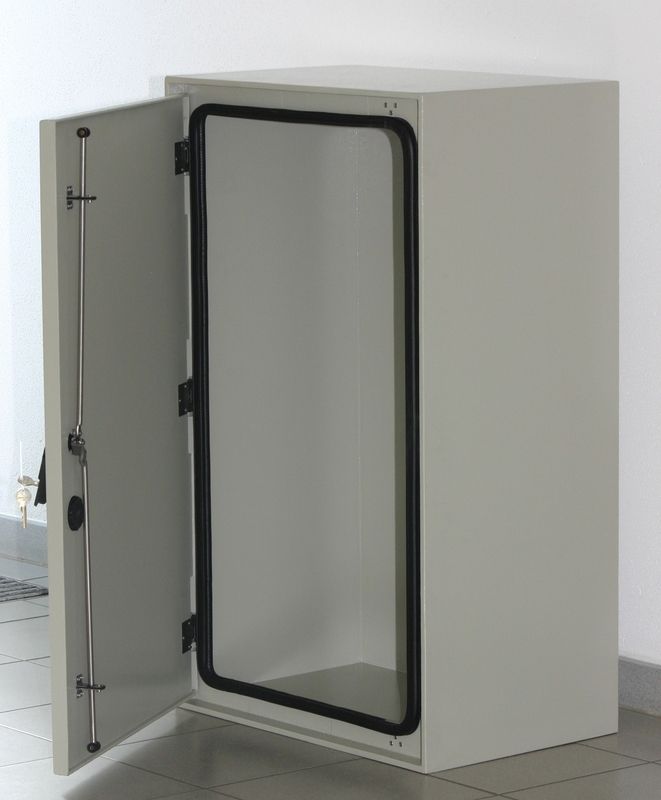 The enclosure surfaces are also highly resistant to weather and the corrosive effects of aggressive chemicals. 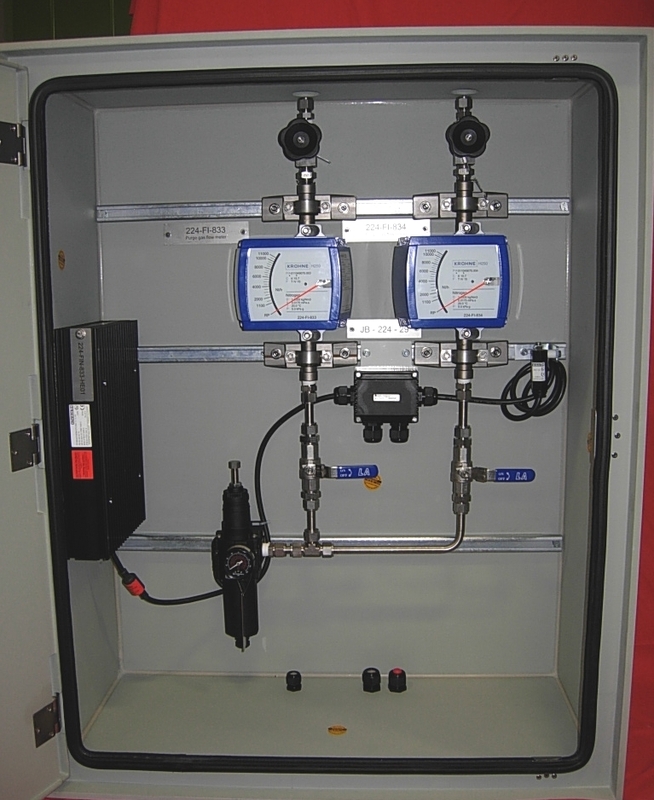 This makes BASIC VARIO enclosures ideal for applications in chemical, oil and gas plants.